A couple of years ago, I posted about the Beautiful Noise Documentary – which at that time was only a kickstarter campaign to finish the doc. Honestly, I completely forgot about it, but a couple of weeks ago, I was notified that it was funded and needed my mailing address to send my perk – which was the DVD pre-sale. It arrived, I watched, and I was extremely happy to have watched it, and I wanted to talk about it. The Beautiful Noise Documentary went into detail about many of the bands I was seriously into during the late 80s to the 90s. Out of the ashes of the punk and post-punk/new wave movement, there were a few bands that pushed the envelope of sonic guitars and melodic vocals. Today you were refer to these bands as ‘shoegaze’, but at that time, they were never referred as that. The early bands would include Sonic Youth, Dinosaur Jr (both were not in the doc for some reason), Jesus and Mary Chain, Cocteau Twins, My Bloody Valentine, etc. These bands were exploring feedback, stacked guitars that would pulse and swirl, with vocals that would be juxtaposed by melancholy vocals drenched in reverb. Ride was one of the bands for me that help define the early 90s for me. I absolutely LOVED Ride – especially Vapour Trail.. amazing song. I have to admit I was (and still am) a sucker for sonic walls. 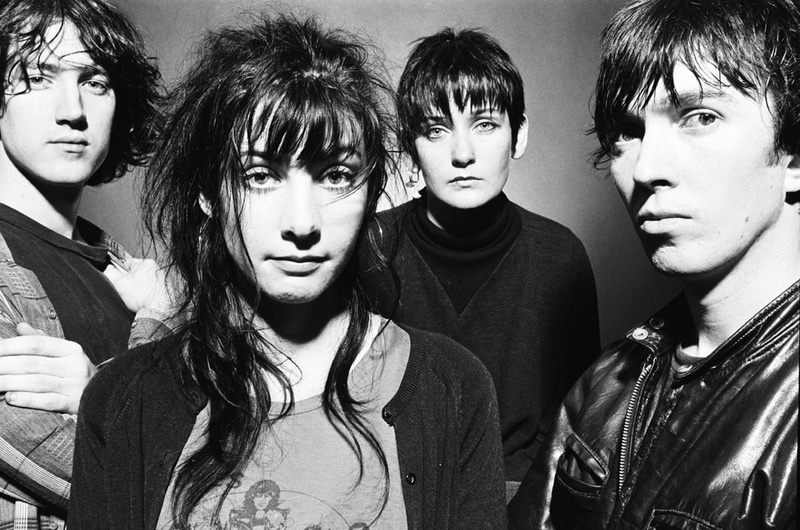 Bands like My Blood Valentine (check out this post I did for Kevin Shields board) pushed the limits. After watching the video I had to put on my copy of Loveless again.. still brilliant! The documentary has various artist talk about these bands, which I thought was quite cool – Robert Smith and Billy Corgan are a couple of examples. If you follow me on this site, you know I’m a Cure fan, so I thought it was quite cool to hear Robert talk about these bands vs. the Cure and hear how these bands inspired him. I was hoping that there would be a little more technical aspects of the documentary that would go into pedals, guitars or show things from a musician’s view point. Those items are not present in the documentary, but it had amazing footage and clips from interviews that had to have been very difficult to find and gather. Being a fan of the music and genre, I thought the documentary was awesome, and it was fun to rediscover some of these bands. Also to appreciate the ‘movement’ that was happening. Right now, there is a resurgence of this style of music. I’m seeing / hearing more and more indie bands playing this style.. and I’m loving every minute of it. If you’re interested in a picking up this DVD, you can purchase it directly from their site here. Let me know what you think of some of these bands, the trailer, etc.. by commenting below! That tagline quote was used for the Velvet Underground years before it was used for the bands in the film. Right, attributed to Brian Eno, though unsubstantiated. I suspect the quote is being used intentionally, to highlight the connection in heritage and approach of these bands to the Velvet Underground and Eno.